The Coastland Collection is made by balancing a thick top layer of solid sawn French Oak over a base of a plywood substrate. 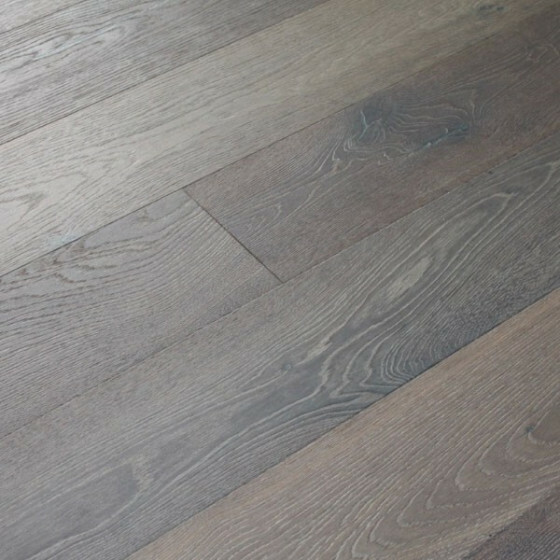 By using a solid sawn back layer to balance the product, this makes the finished product one of the most stable engineered hardwood products on the market. 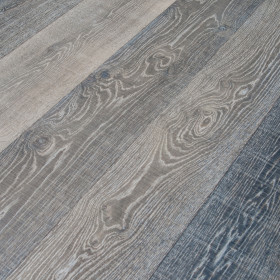 The increased stability allows this plank to go up to a 7" width while sustaining the true milled width with environmental changes. A smooth face wire-brushing enhances the grain of each plank. 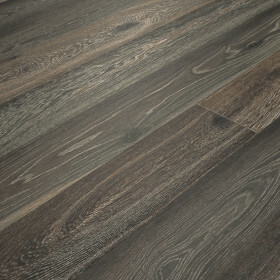 Coastland Collection floors are all finished with UV-Lacquer for a strengthened wear resistance with simple maintenance techniques. 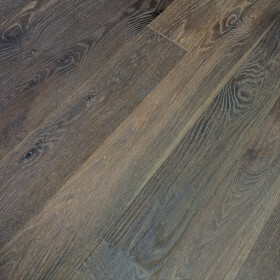 Coastland Ombre is made with a smooth face, beveled on all sides and wire-brushed. 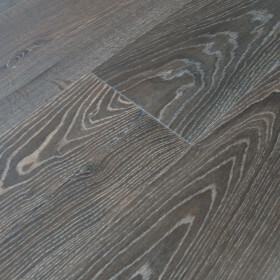 Each individual board we provide has a unique appearance with rich dark brown color variation going towards darker shades.